These two pictures were taken from Meon, coming back from Ogijima and arriving at Takamatsu Sunport. 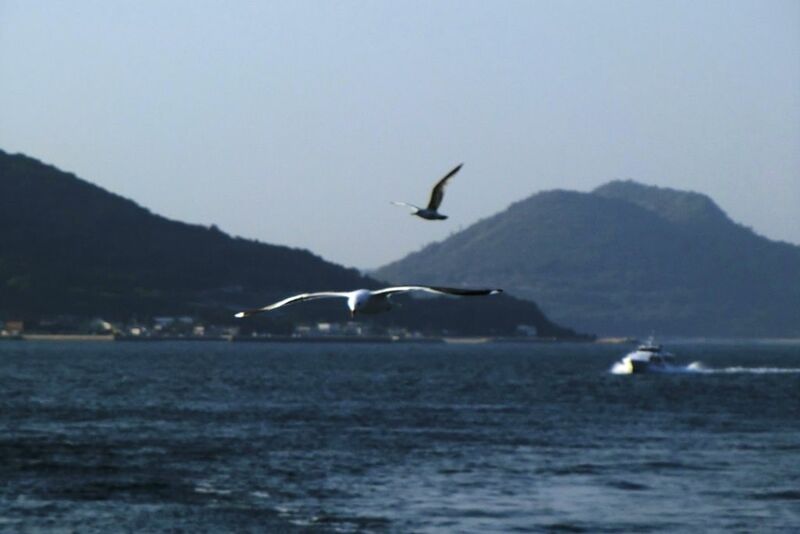 What’s funny is that a couple of days earlier, I was wondering about the fact that I never see (or at least have the feeling that I never see) seagulls in the Seto Inland Sea. If you wonder which are the islands that one can see in the background, the one on the left is Megijima and on the right side of the picture, it’s Ogijima. 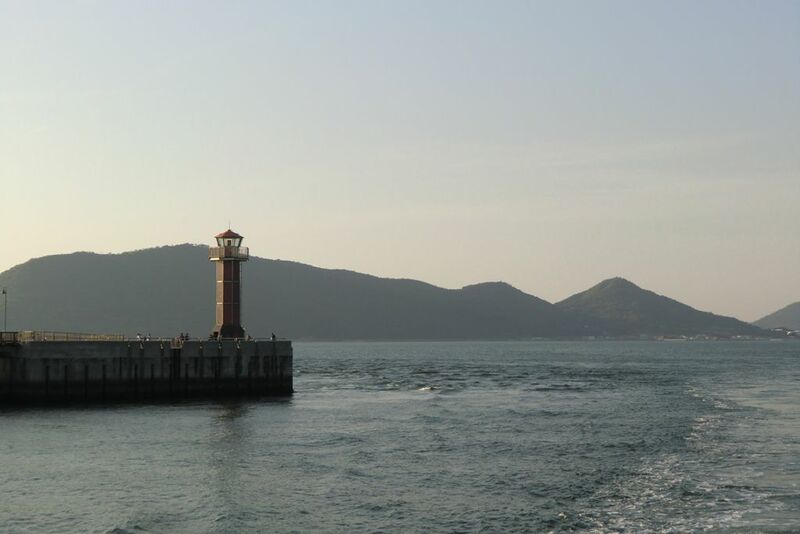 And the boat that is following is the fast boat from Teshima (or Naoshima).